Does mine size matter when it comes to Fleet Management Systems? An integral part of managing production at a mine site is having accurate, readily-accessible data. This empowers key stakeholders in the management team to drive production reporting, materials tracking and budget forecasting. If a site does not run a Fleet Management System (FMS), manual input is heavily relied upon increasing the risk of human input error. Errors can drive outcomes that work against increased production at a reduced cost. As each department of a mine relies on accurate information, the consequences for errors becomes greater. Errors in production reporting may result in the mine trying to fix the wrong problem. For example, if the system reports higher machine hours than what they really are, it may appear that the production rate is lower than expected, in turn prompting supervisors to focus on machine productivity. The risk to the mine planning team is that longer term data does not reflect actual practice at the mine, resulting in incorrect cash flows projections that could lead to project failure. Alternatively, a FMS can have improved accuracy but involves a high monetary investment. Such an investment is not always feasible for smaller mining operation exposed to current industry cost pressures. By working in partnership with our clients, Emeco came up with a cost-effective FMS solution for a mine of any size. To find a way forward, management met with the mining experts at Emeco to discuss a bespoke solution. The Emeco Operating System (EOS) is a fleet management and mining technology platform that has been developed in alliance with sites such as the Mungari White Foil Operations. Using the leading-edge technology available through the EOS, the team at Emeco provided a valuable FMS for mines of any size. For this project, we ensured the system satisfied the criteria of a low-intensity hardware installation, materials tracking data validation processes, remote monitoring, identification of metrics to improve overall operating efficiency and providing the right information to key stakeholders. The initial results from White Foil operations have shown the benefits of the EOS approach including the improved accuracy of information to predict an 18 per cent reduction in unit cost or a 21 per cent increase in production within a few months. 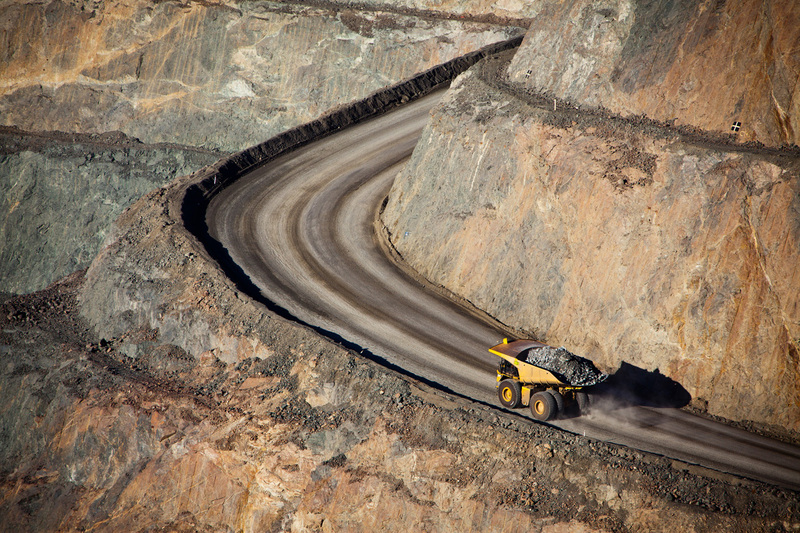 Traditional one-size-fits-all approaches to fleet management systems are a thing of the past, with industry pioneers like Emeco leading the way in tailored mining data and management solutions. There is a justifiable business case, for any mine to utilise accurate and timely information. Such information in relation to material tracking and production assets can be used to achieve leading practice unit cost and resource recovery of a mine. The approach developed for the White Foil operations was designed to address the needs of a smaller operator that does not have the scale for a complex and costly fleet management system, but which still provides the level of detail and real-time feedback required to demonstrate production improvement and data accuracy results. Ability to upgrade the system later, to take advantage of features of a high precision global positioning systems (HPGPS), and Collision Avoidance. For further detail please refer to the following paper presented at the Open Pit Operators’ Conference 2016: “Getting Accurate Mine Information to the Right Teams to Drive Production Improvement” by Robert Beckman and Taylor Elms.